North Wales is one of the most popular climbing areas in the United Kingdom with a long and colourful history at the cutting edge of climbing development. Multi pitch mountain routes on crags like Lliwedd were established well over 100 years ago. The new route development still continues to this day with the recent popularity for sports climbs along the A55 corridor. 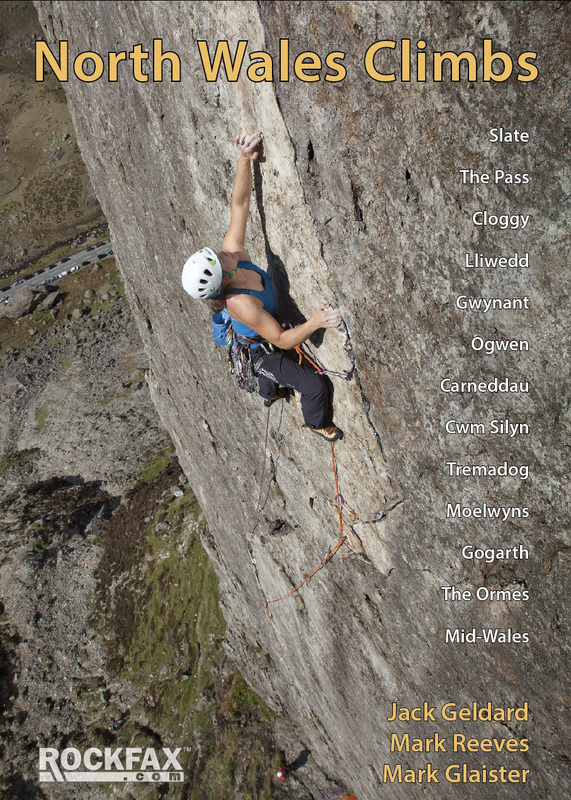 North Wales Climbs by Rockfax includes a very comprehensive coverage of all the best climbs across the wide spectrum of climbing that makes North Wales a very special climbing area. The North Coast Limestone routes are described in detail along with the very best Gogarth climbs. Snowdonia is well represented from the accessible Slate climbs with their many refurbished bolted climbs, to the classic multi pitch mountain routes across the area. The ever popular Tremadog outcrops are well covered and this section includes the very best routes routes at Cwm Silyn and Carreg Hyll Drem. A good selection of the quieter classics around Betws y Coed and The Moelwyns are described including my favourite hidden gem of Clogwyn yr Eryr in the secluded Crafnant Valley. Finally a selection of Mid Wales climbs are also included. The only obvious omission is the Lleyn Peninsula where perhaps the routes are considered a little too serious for popular consumption? Also I couldn’t find any reference to the many boulder problems, surely there was room for a few classics on the world famous Cromlech Boulders? However with over 1000 routes covering a wide grade range from Moderate to E7 and sport climbs from 4 to 9a there should be enough challenges within these 400 pages for the most enthusiastic of weekend warriors! The photodiagrams come up the standard that we now expect from Rockfax Guidebooks but lets not forget the huge effort involved in obtaining the crag photos for every single crag in this impressive guide. Many of the action photos are practical and taken from the ground to really show off the routes from below, however the photo of Hazel Robson laybacking up Holy, Holy, Holy on page 48 really makes your fingers ache. Meanwhile the stunning photo on page 16 of Wes Hunter teetering up the sensational Poetry Pink on the Rainbow Slab makes you want to jump in the car and head straight to North Wales! Another excellent innovation is the inclusion of QR codes on all the maps which means that you can use your smartphone to navigate to the chosen crag as well as check out the relevant tides for the next three days. For the more mountainous routes you can also consider photographing the topo and route description and then leave your heavy (750g) guide behind for the day. For only £29.95 Rockfax have created another professionally produced guide describing over 1000 climbs, enough routes for a lifetime of climbing trips, all clearly described on stunning photodiagrams. This is an excellent climbing guidebook to a very popular area.